Most enterprises maintain workloads in distributed IT environments. In addition to their own data centers, they utilize the scalability of the cloud while maintaining servers at local offices. Almost 80 percent of this data is unstructured, and isolated in islands of data at branch offices. Unfortunately, many enterprise storage solutions providers present one answer to more data: more storage. They offer cloud back-up for locally stored files, or encourage you to throw more disks and arrays at the problem. They might suggest centralizing unstructured data, but claim it will affect performance at your brances. To us, this is an old way of thinking. You can get more from the resources you already have, and potentially cut local storage costs by as much as 70 percent, without giving up branch performance. 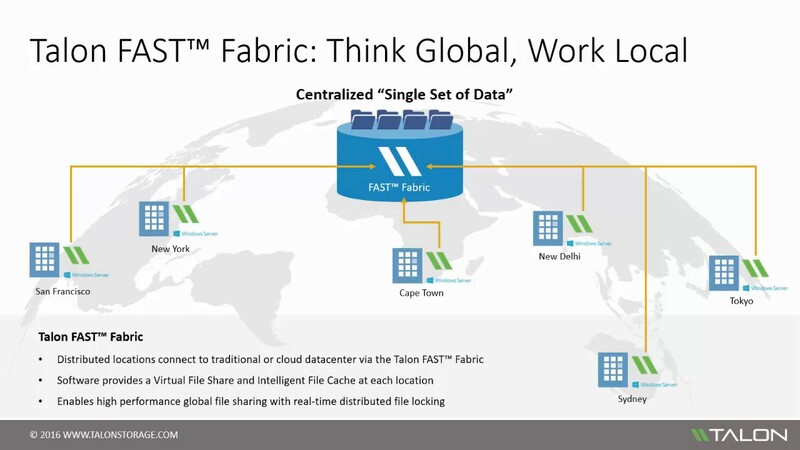 Learn how the FAST™ Fabric can help you tackle the challenges around distributed storage. FAST™ File Acceleration and Storage-Caching Technology is the missing link that makes it possible to overcome bandwidth and high-latency issues at the branch. You can store unstructured data in centralized environments, empowering team members all over the world to collaborate on one authoritative file copy. Not only that, but you will consolidate IT infrastructure by eliminating your need to store unstructured data at a branch location. 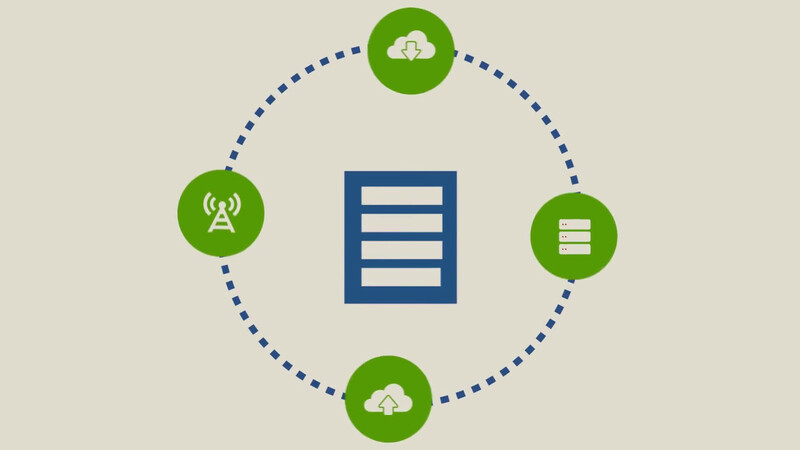 Centralize your data in any cloud or traditional data center and manage it any way you like. Deploy a core instance of FAST™ at your central data center and transparently extend the FAST™ fabric to branch office edge instances. The FAST™ edge instance creates a virtual file share and an Intelligent File Cache that only caches active data. The FAST™ core instance streams and compresses data in transit, overcoming latency issues while managing distributed locks and leases for all branch users. Talon FAST™ enables your private, hybrid, or public cloud strategy through Microsoft Azure, Amazon AWS, Google Cloud, or combining the cloud with on-premise storage. Bringing the data together using Talon FAST™ software allows users to work simultaneously on large project files from any location. And in a disaster recovery situation, you get the business back up and running very, very quickly.